No one needs more things. Yet it is likely that everyone needs less, but better, belongings. We like to think that by taking care of the little things of everyday life, you’ll have an extra reason to feel good and be happy. Enhancing the moments of everyday life. The concept of comfort is not merely a given. We have a clear idea of how a Löwenweiss slipper should provide comfort: your feet should be relaxed, comfortable and enjoy a feeling of complete well-being. 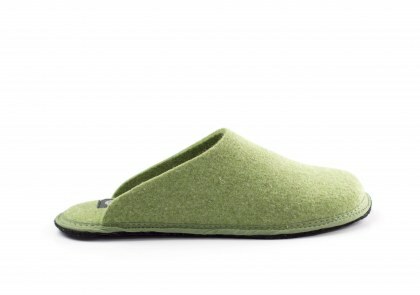 Our slippers let your feet rest and find their natural position and the perfect levels of well-being, which will then be felt throughout your entire body. What’s more we use only natural materials. 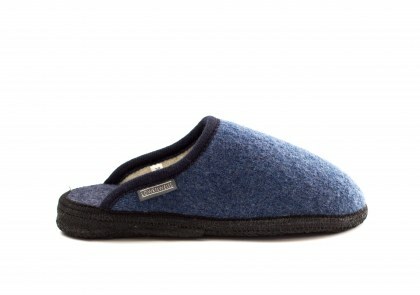 After three generations, today the comfort and quality of Löwenweiss slippers are also requested outside of Italy. We are a family of shoe craftsmen. And we always have been. From generation to generation, we have continued to pass on the knowledge of traditional craftsmanship, linked to wool processing, which goes back many years. Löwenweiss, meaning "White lion", was the nickname of our grandfather who has the head of our family. He was nicknamed this way for the first time by a Tyrolean, due to his resourcefulness and white hair: “Hallo, mein Löwenweiss-Freund, wie geht es dir?” From then on, his children and grandchildren kept the Löwenweiss name in memory of their active, hard-working grandfather. It was his idea to recreate, with the skill and patience typical of craftsmen, comfortable footwear for the house, made with natural, top-quality materials.